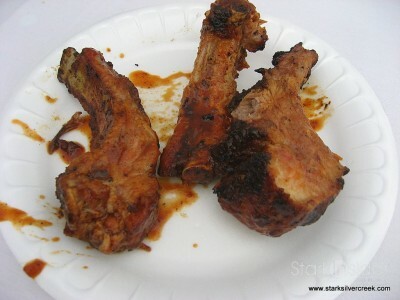 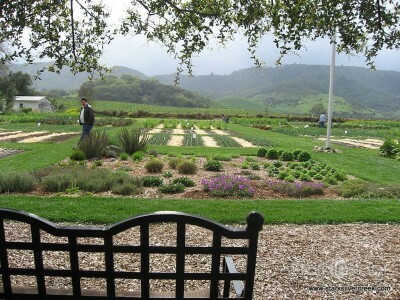 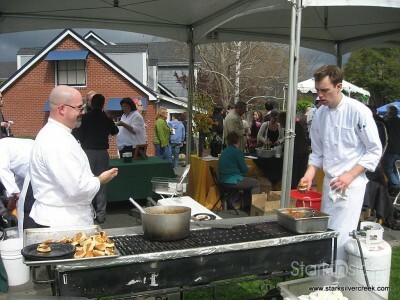 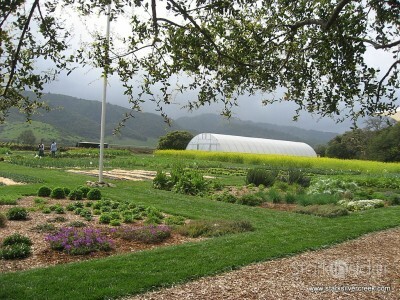 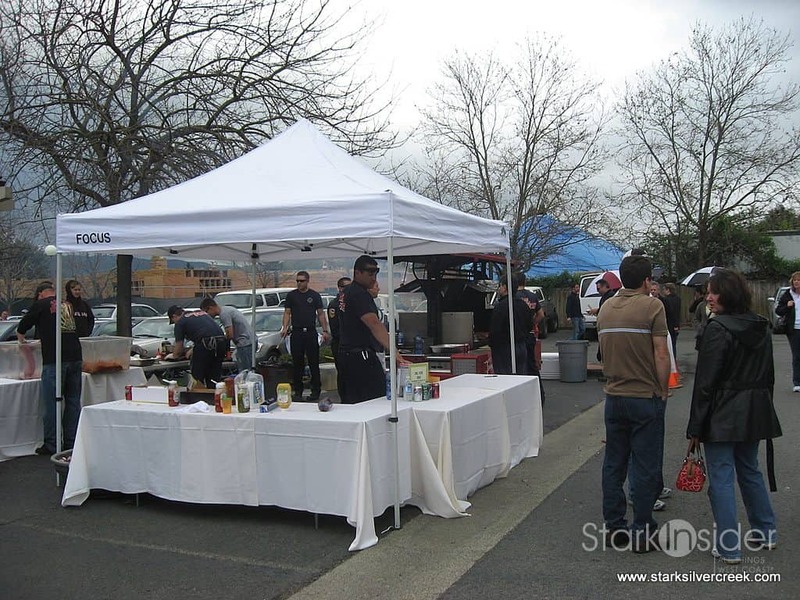 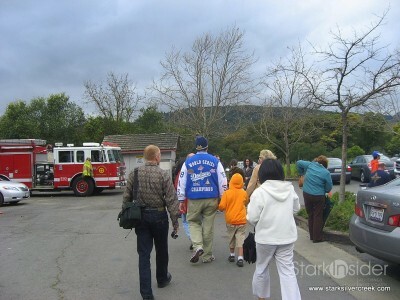 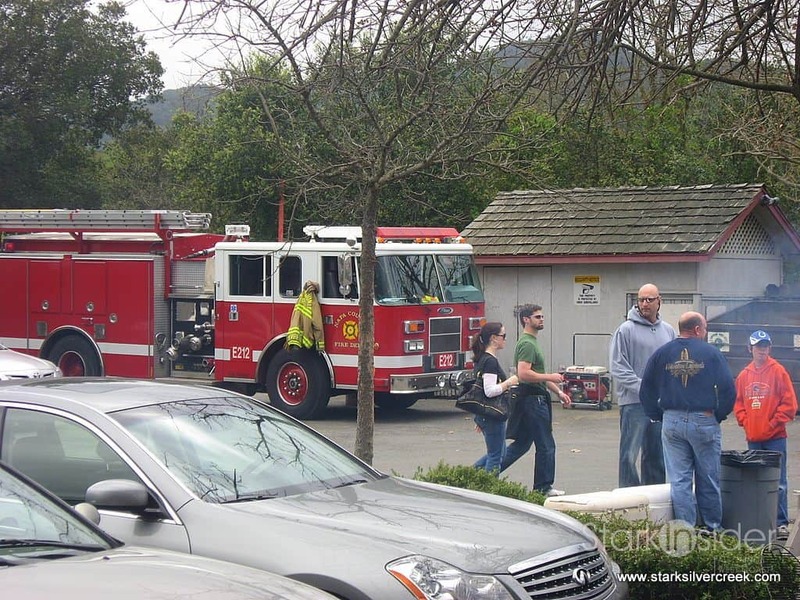 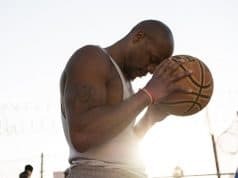 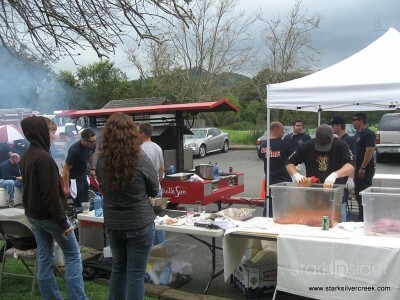 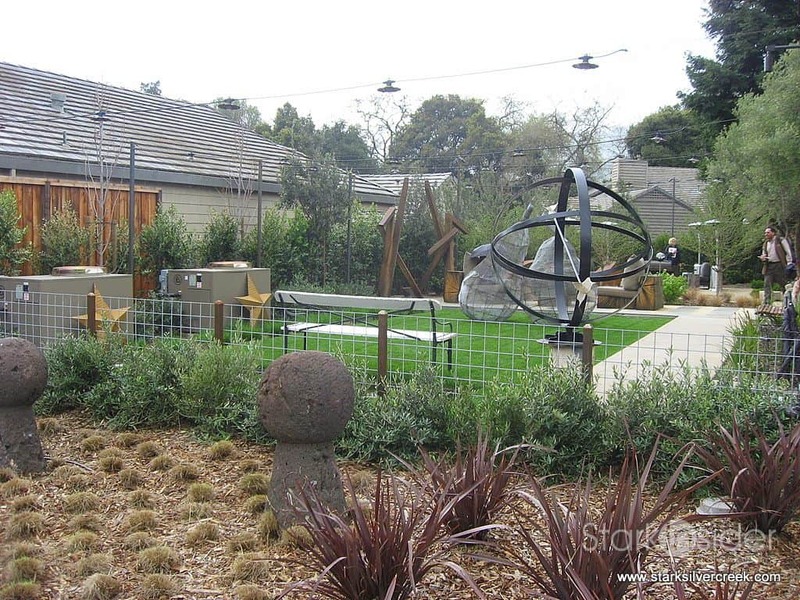 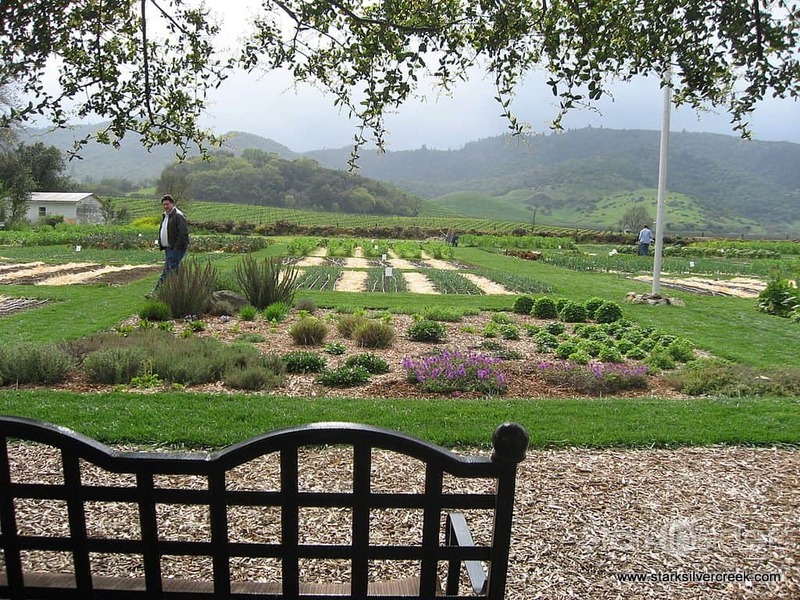 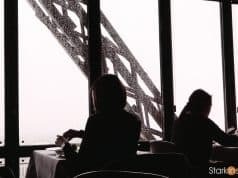 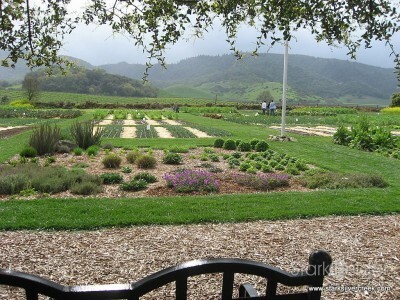 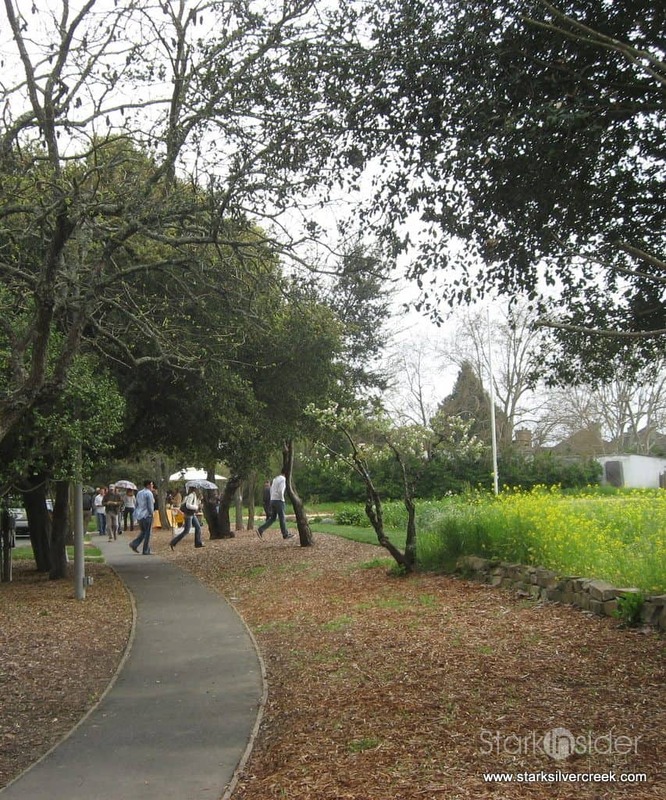 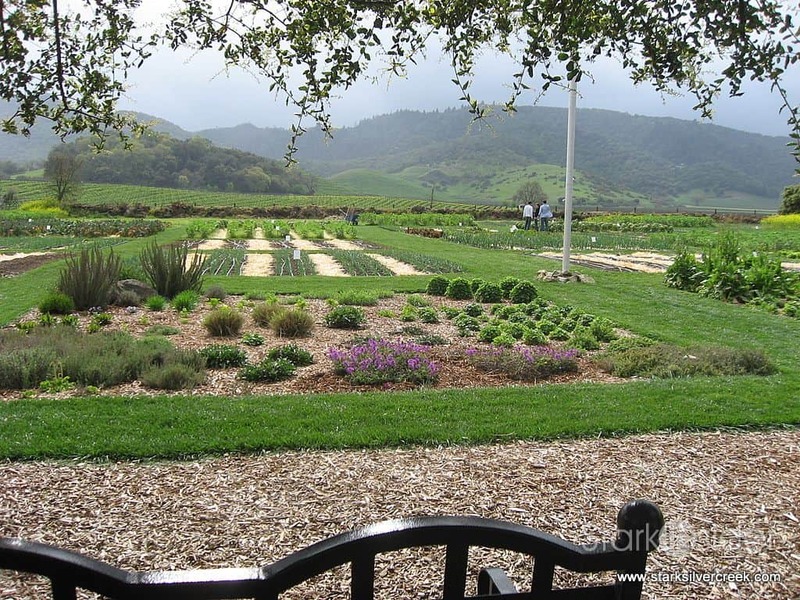 Some notable attractions included the BBQ ran by local fire department for charity and tours of the French Laundry garden. 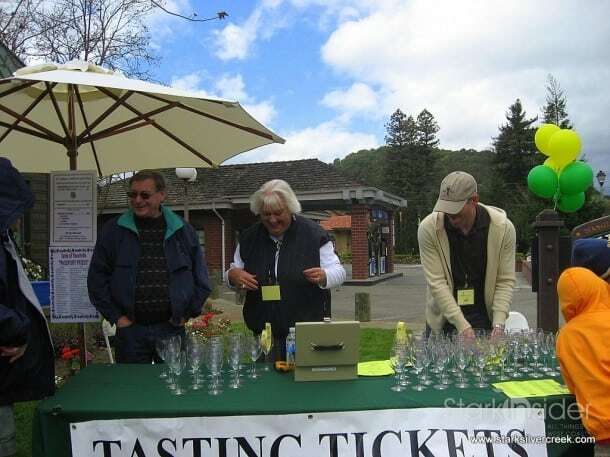 Clint and I spent last week in Napa and dropped in on the Taste of Yountville 2009 which is part of the Annual Napa Valley Mustard Festival Event. 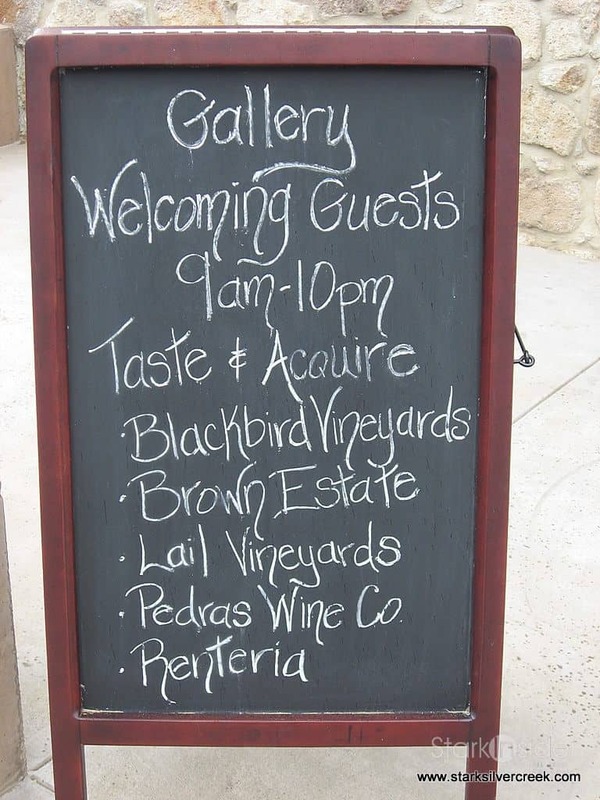 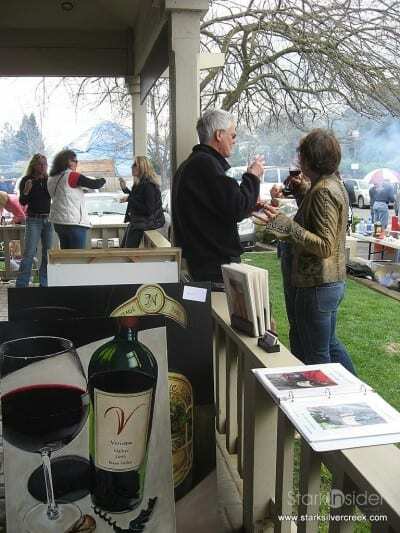 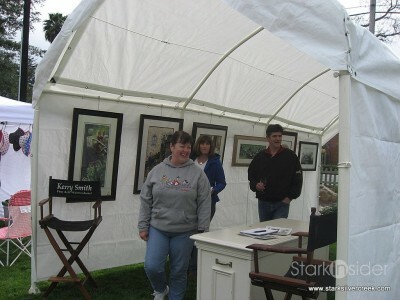 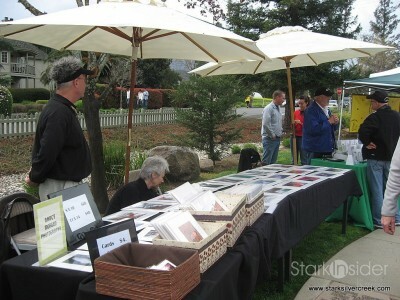 There was plenty of participation by local wineries, samplings of gourmet restaurant fare and artwork. 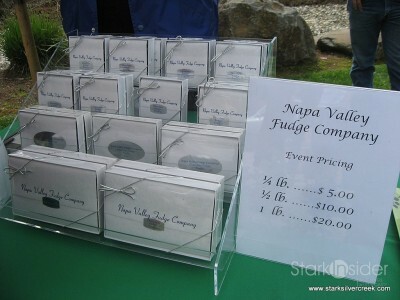 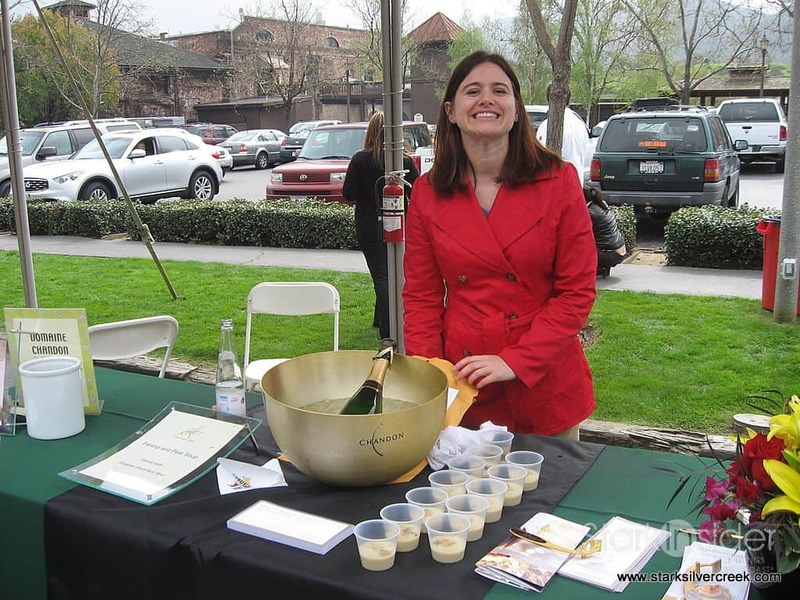 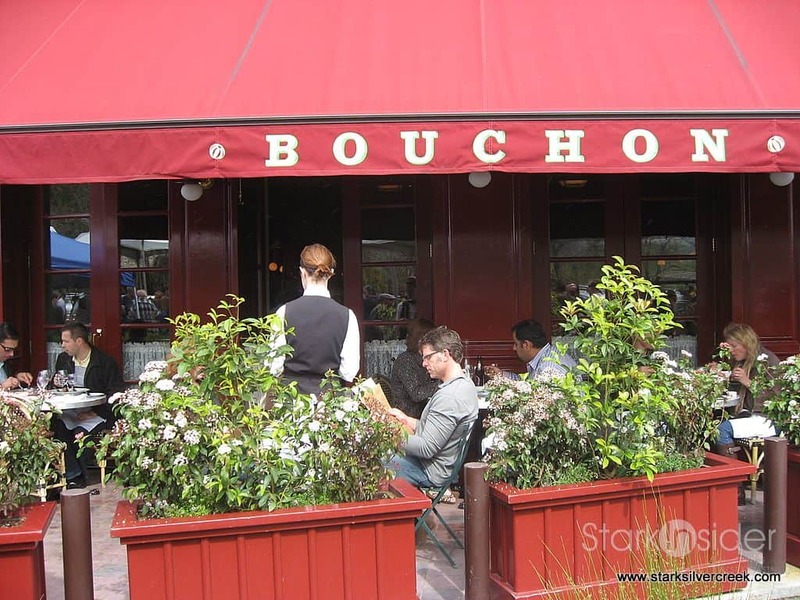 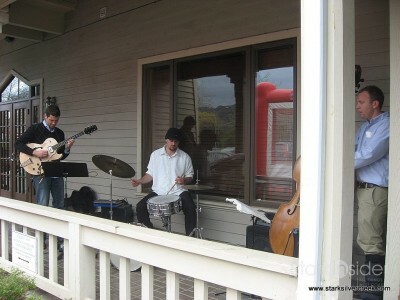 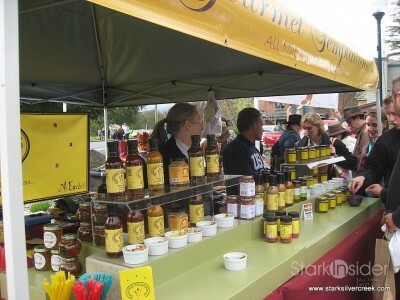 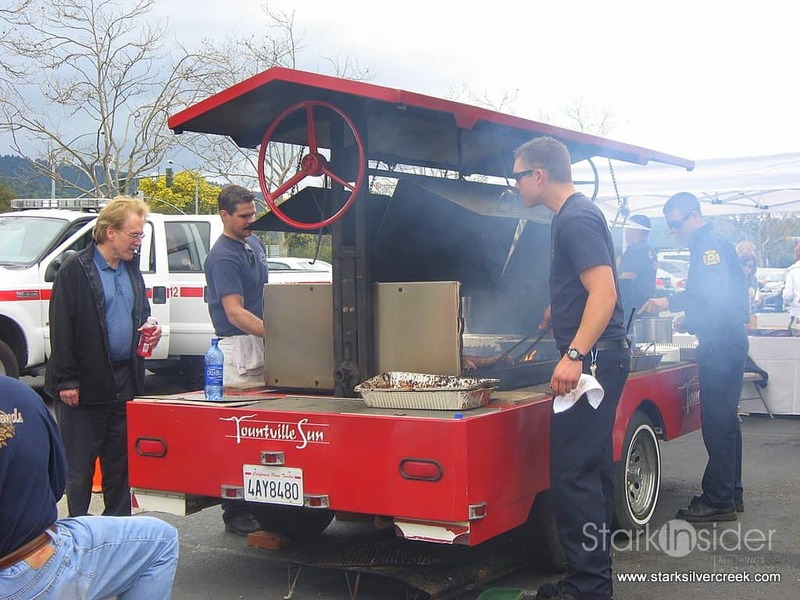 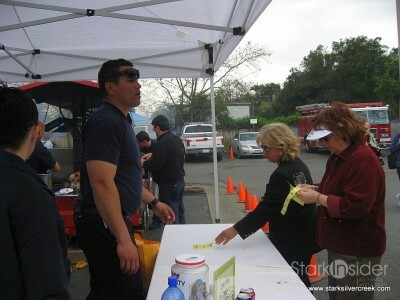 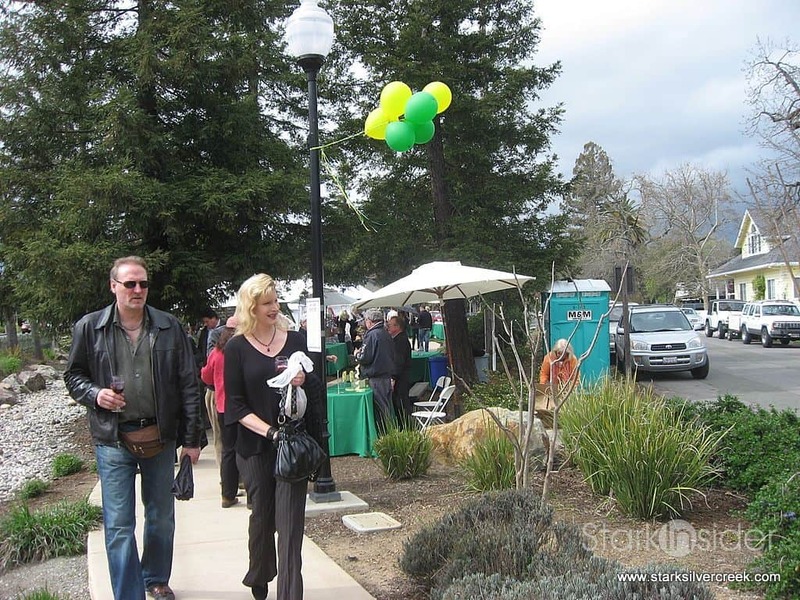 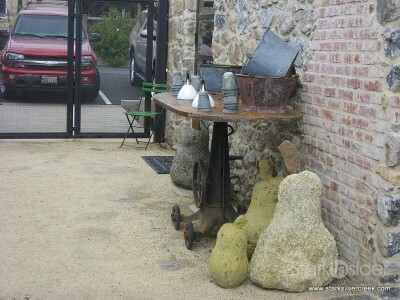 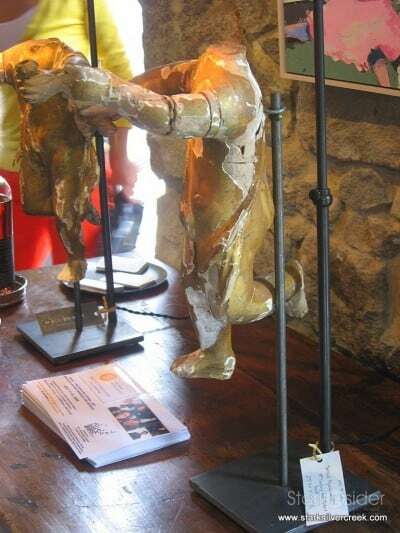 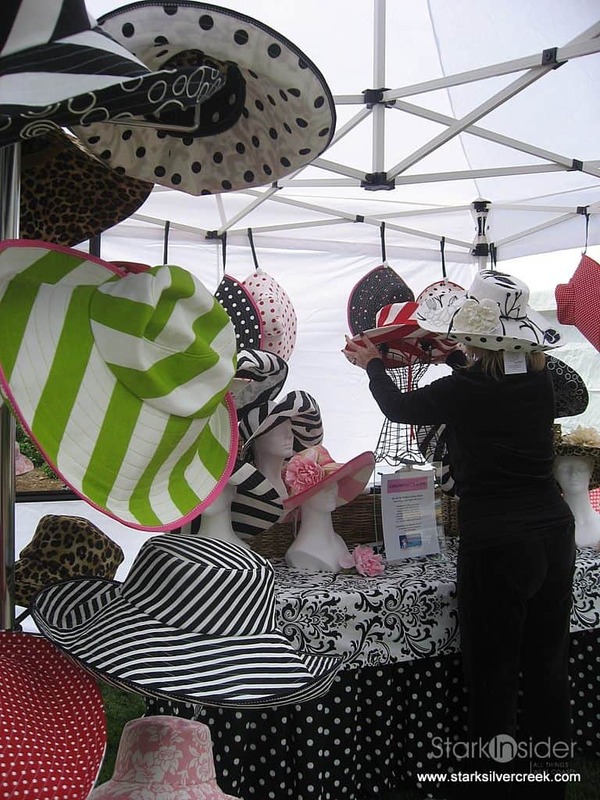 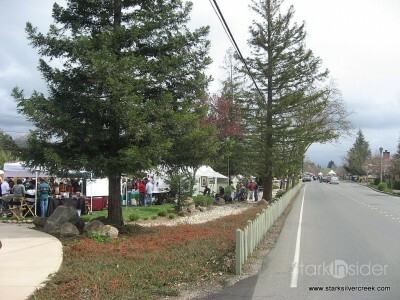 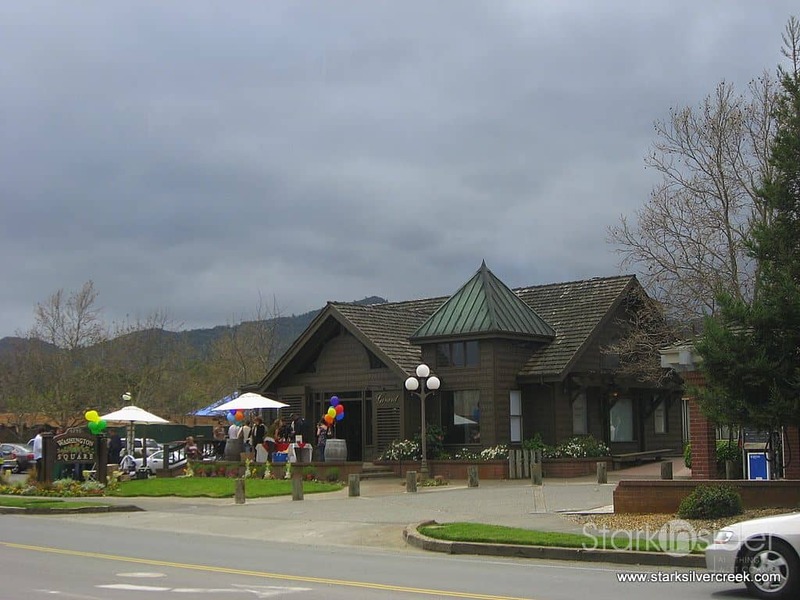 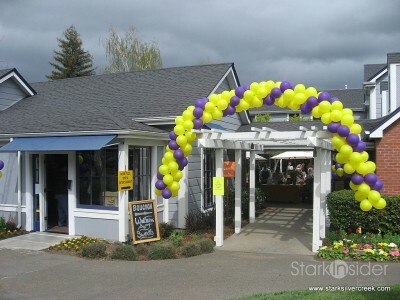 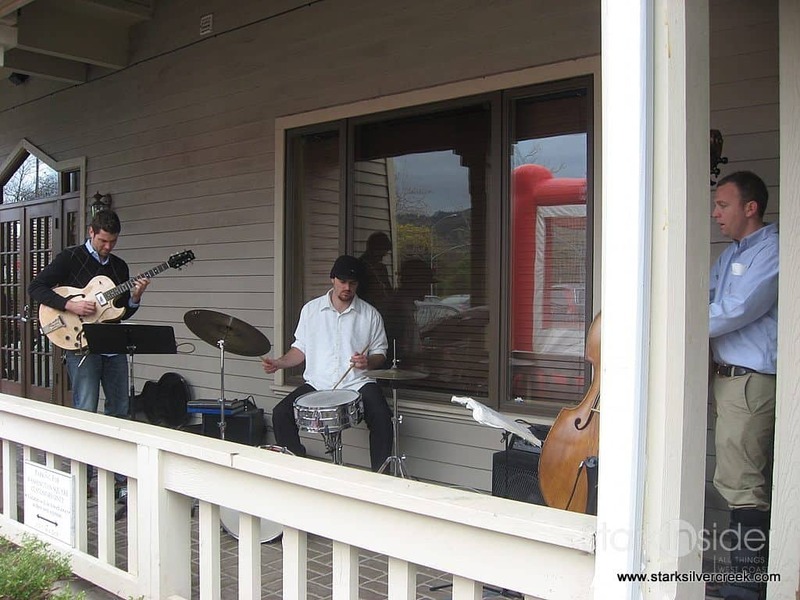 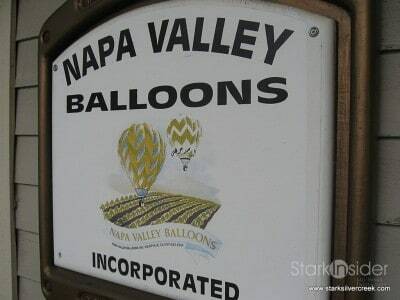 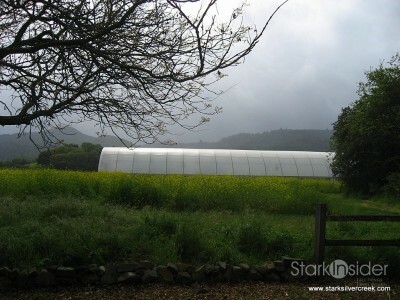 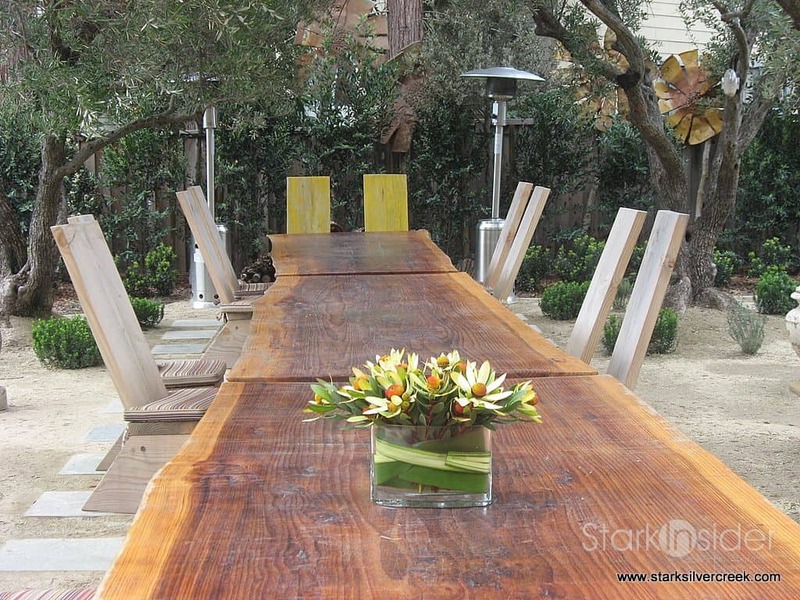 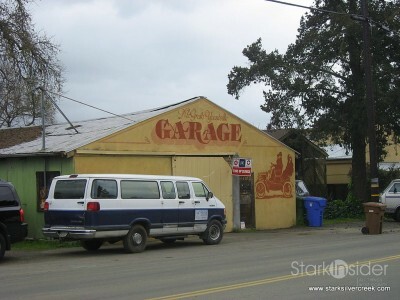 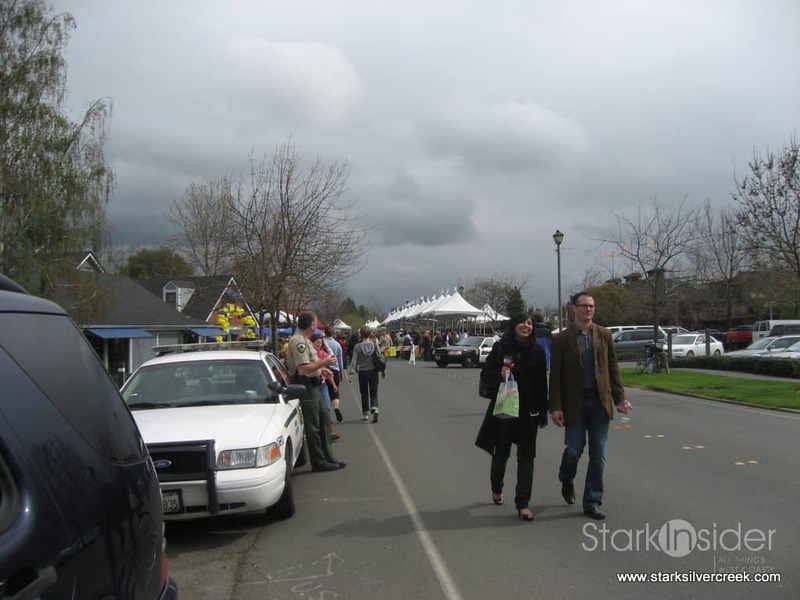 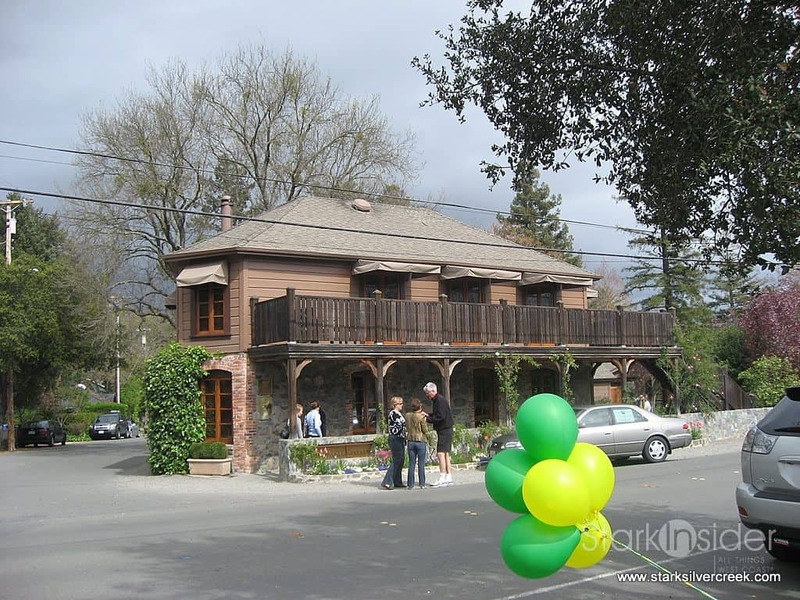 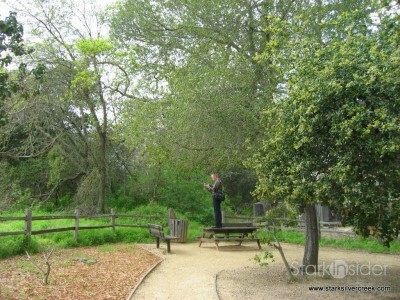 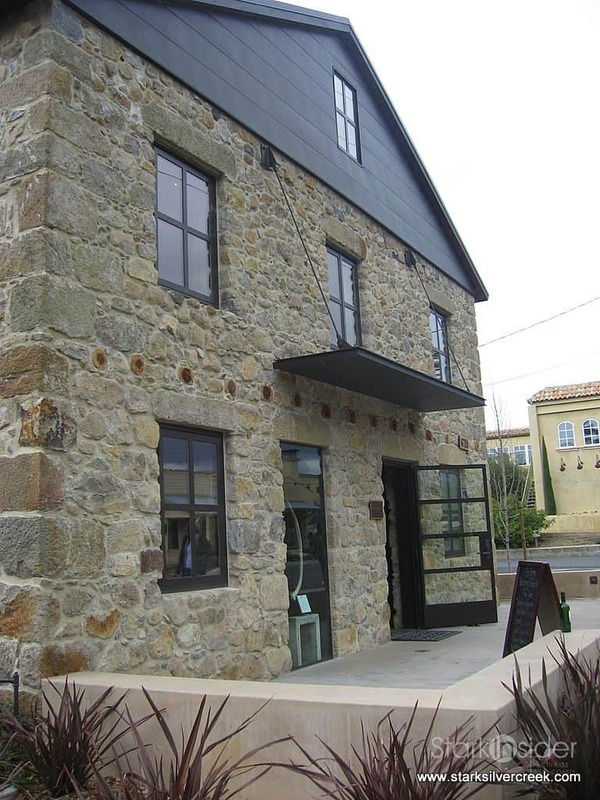 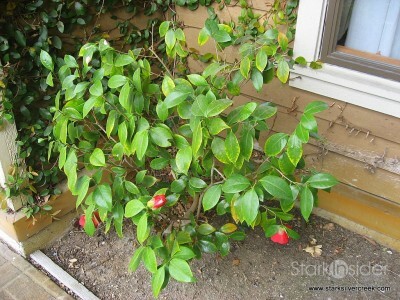 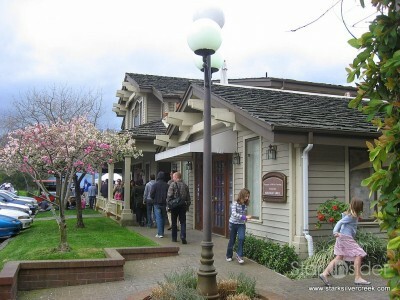 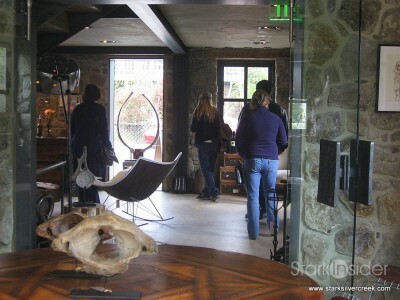 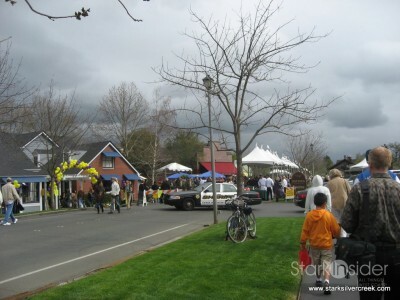 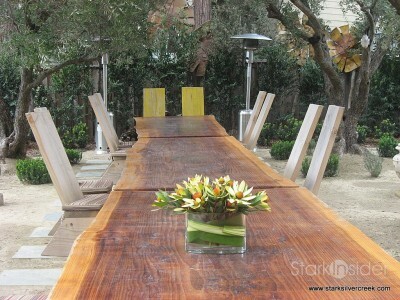 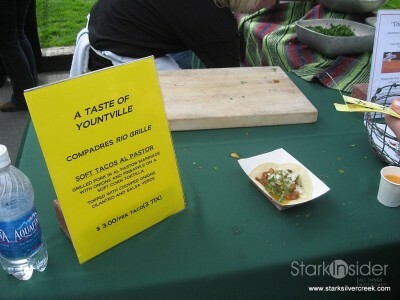 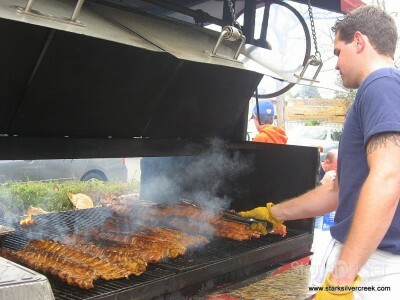 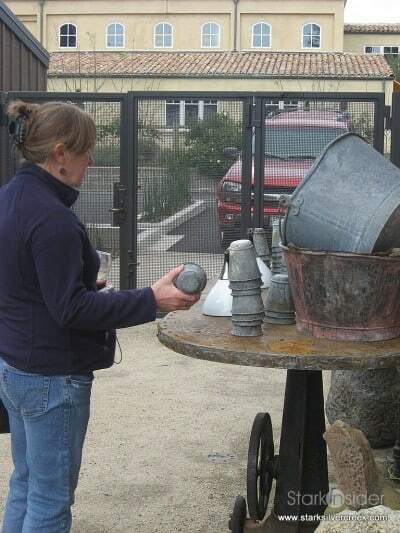 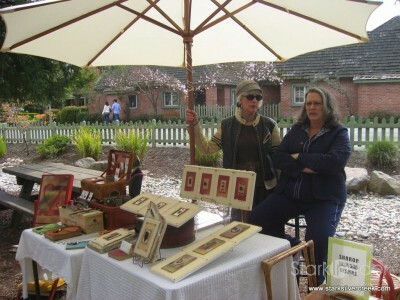 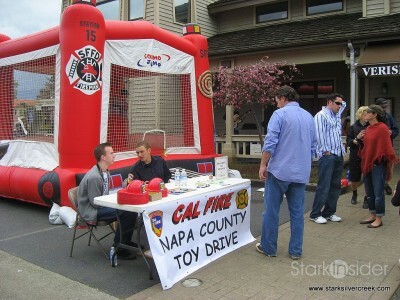 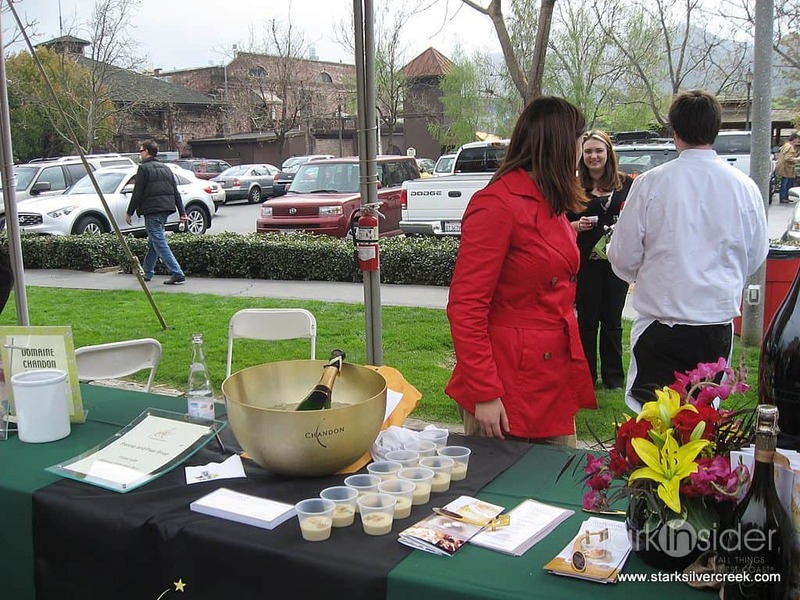 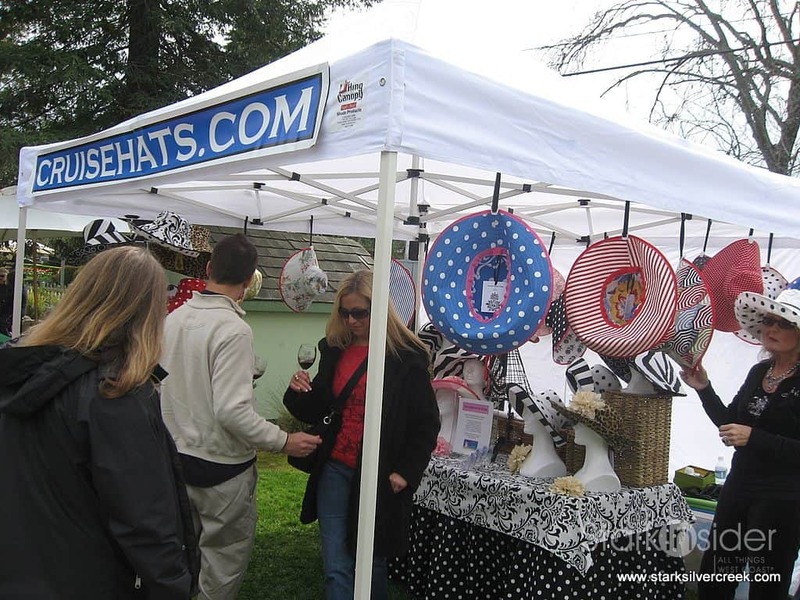 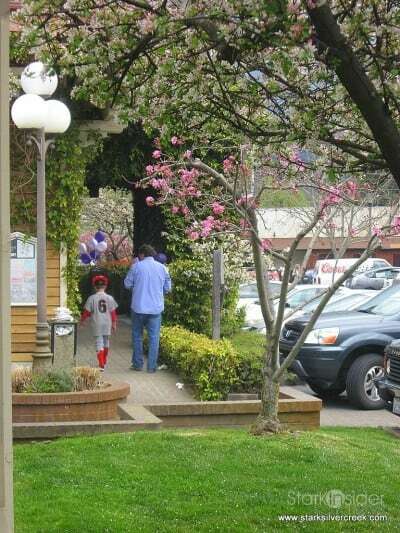 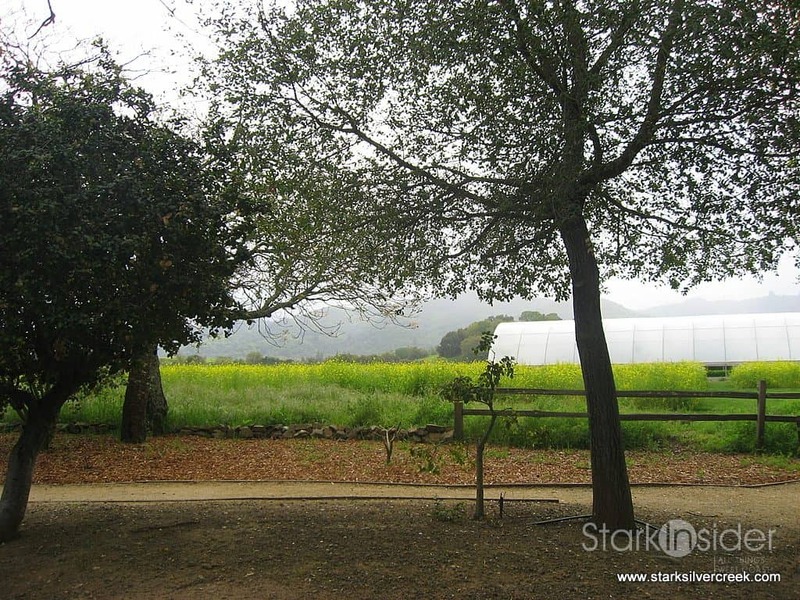 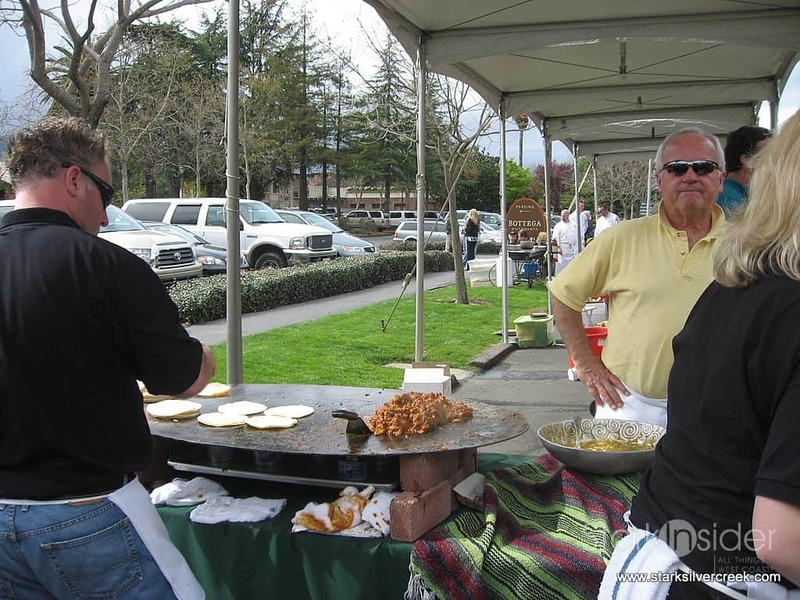 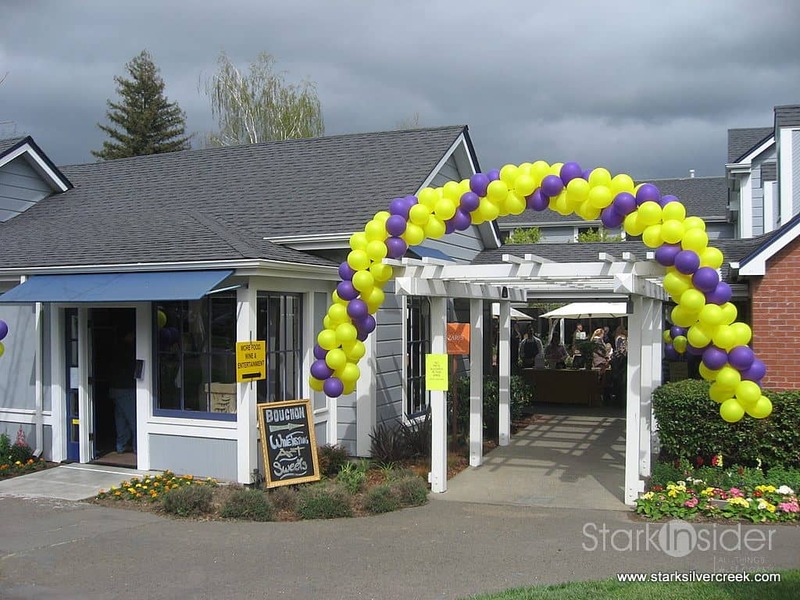 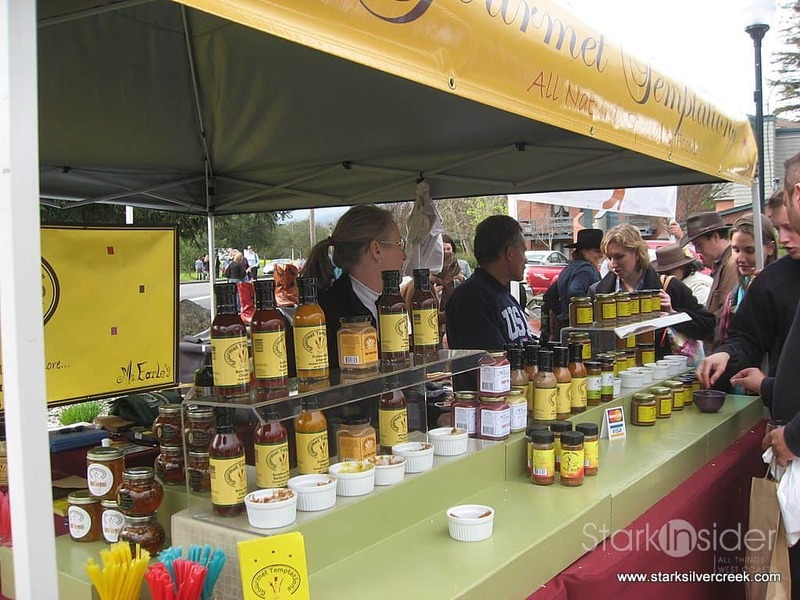 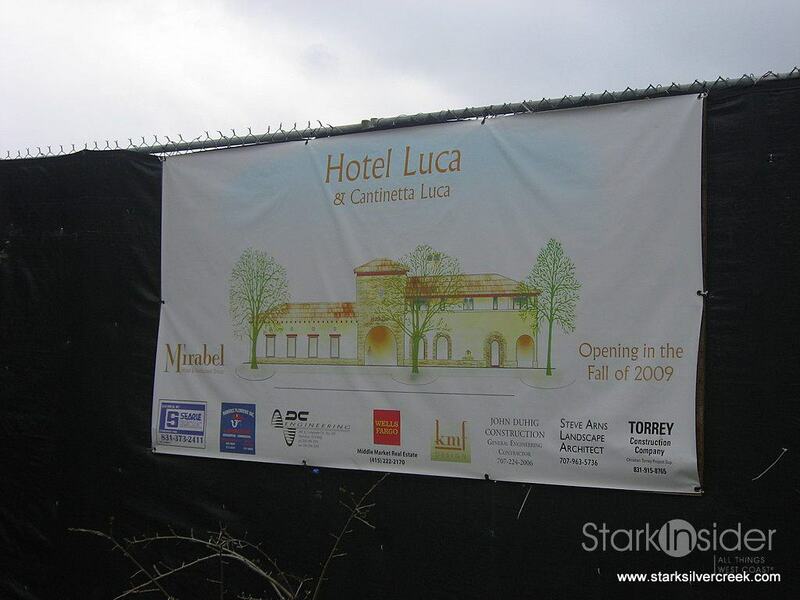 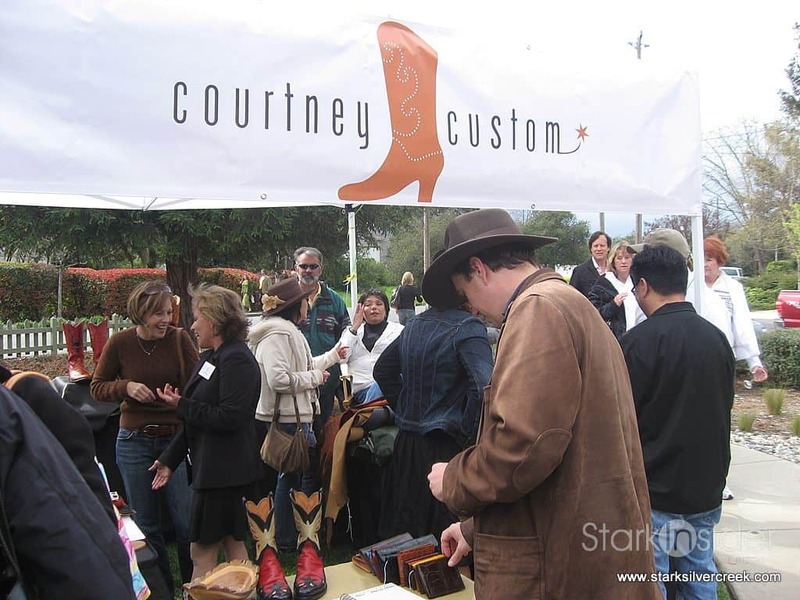 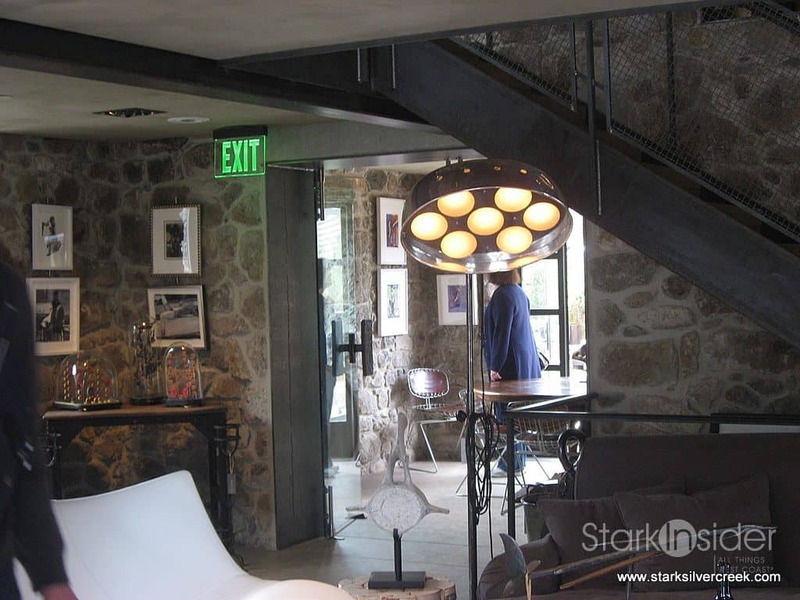 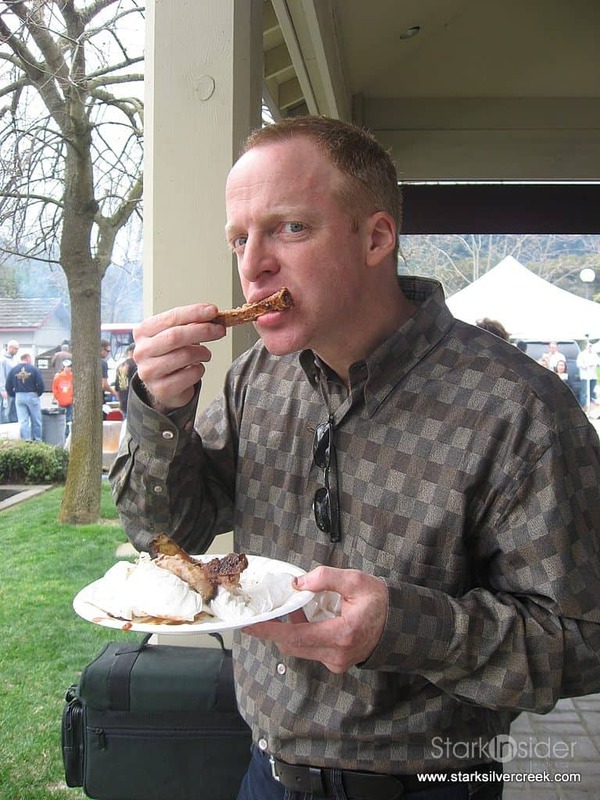 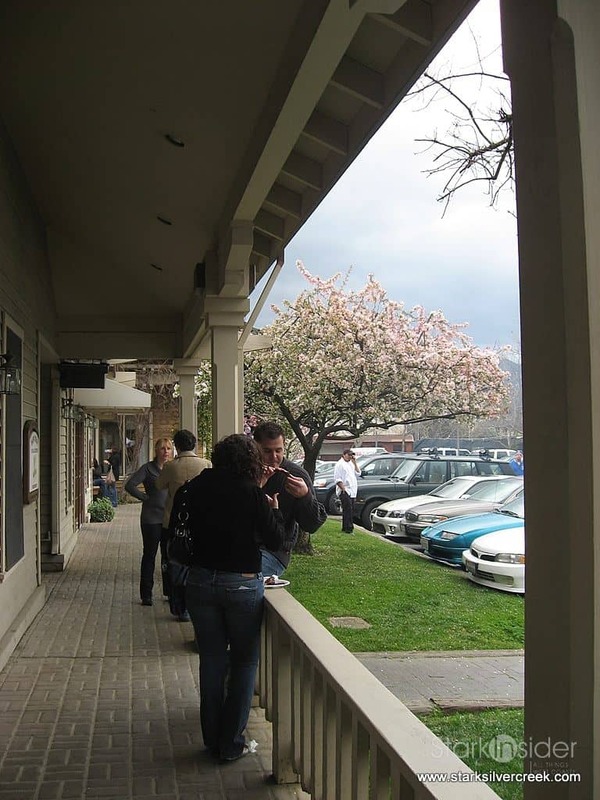 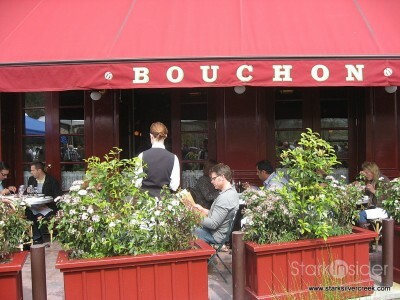 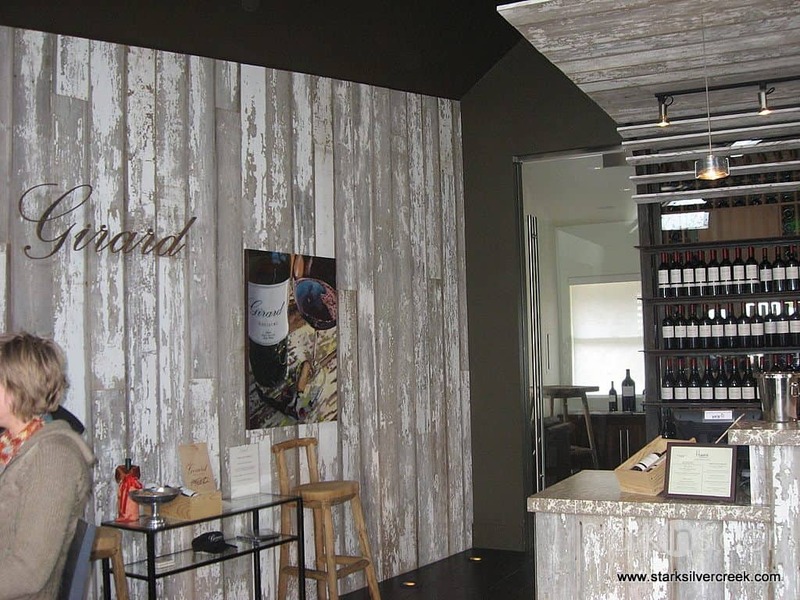 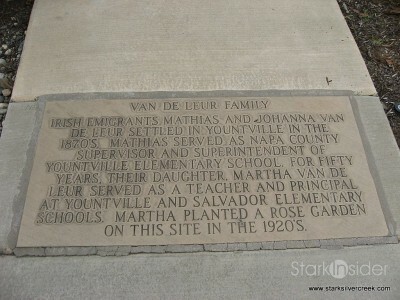 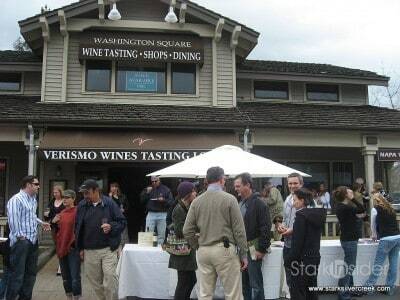 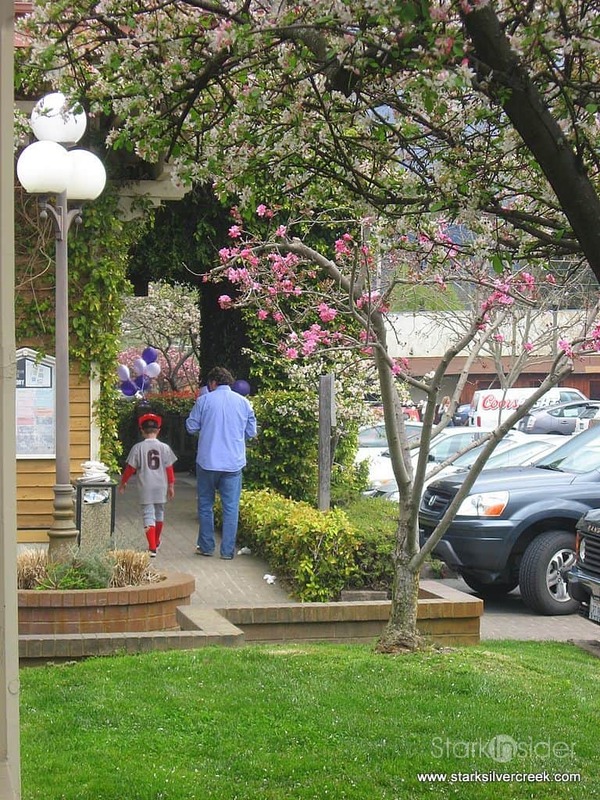 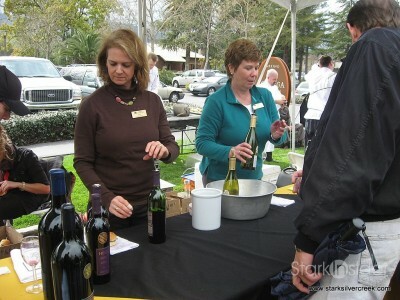 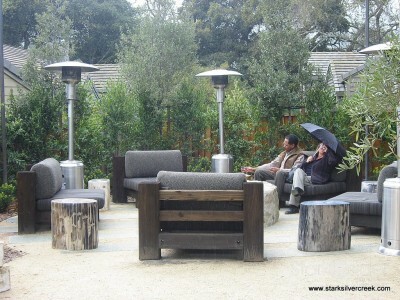 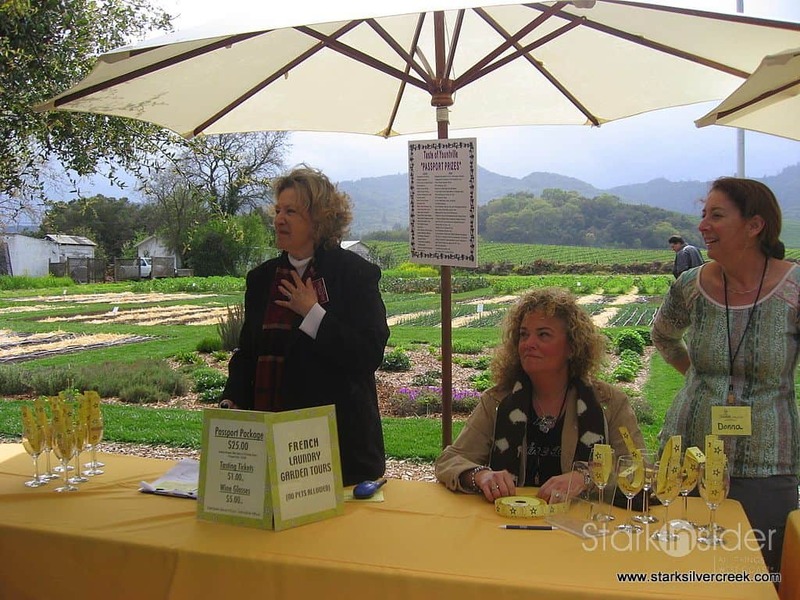 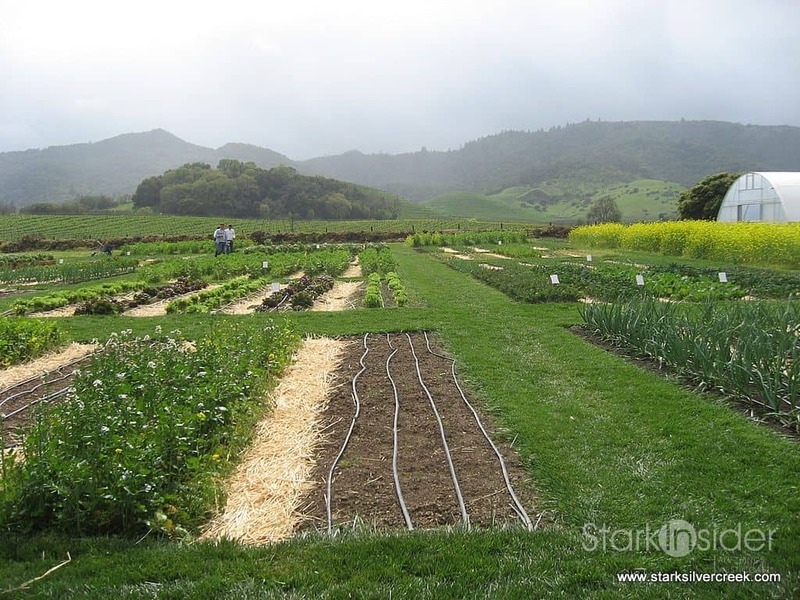 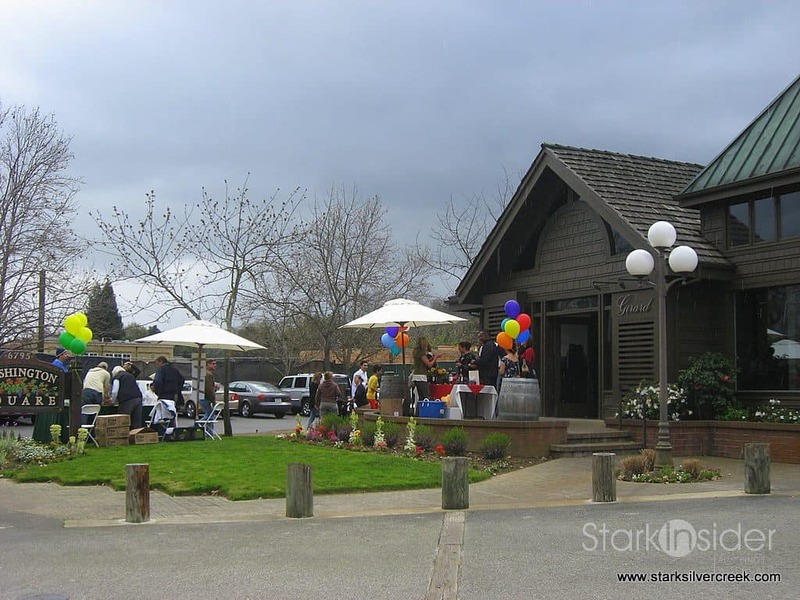 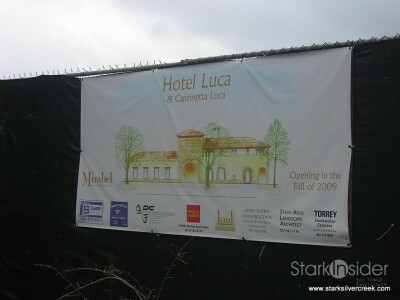 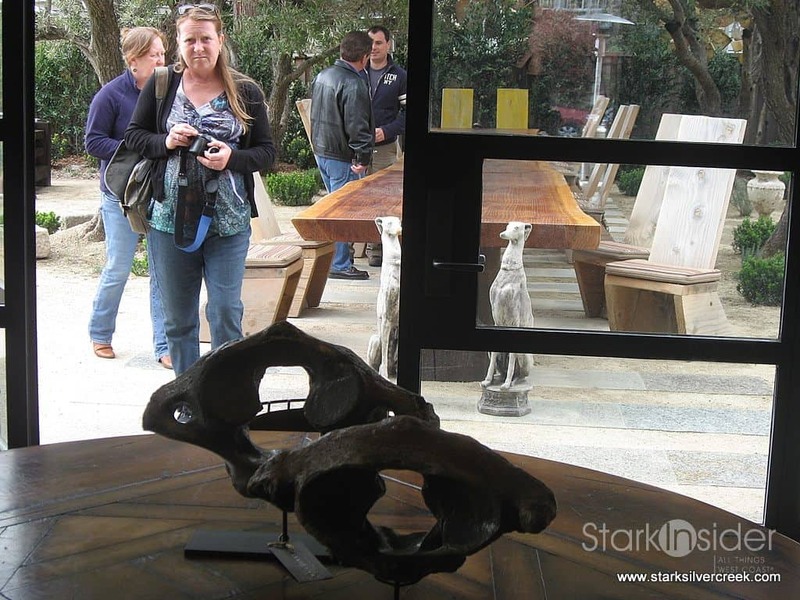 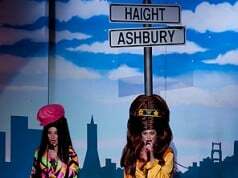 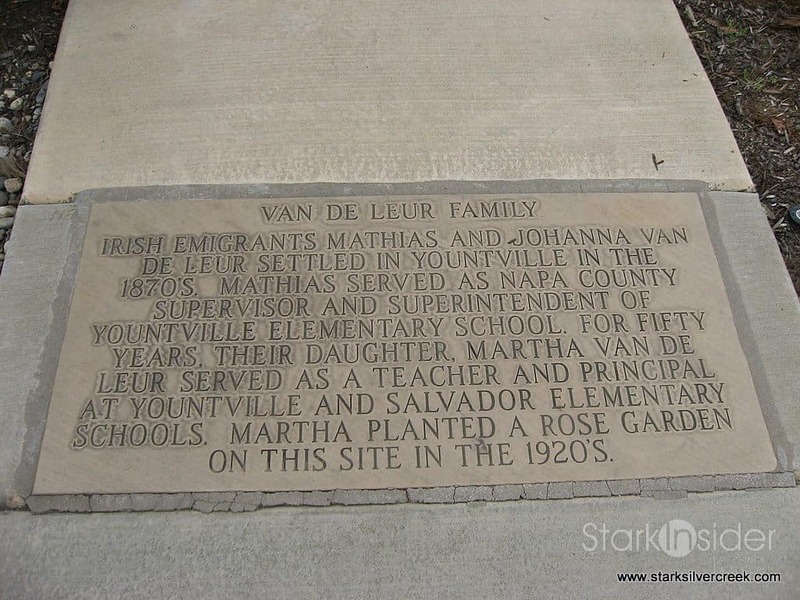 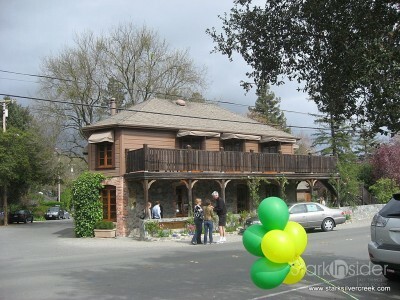 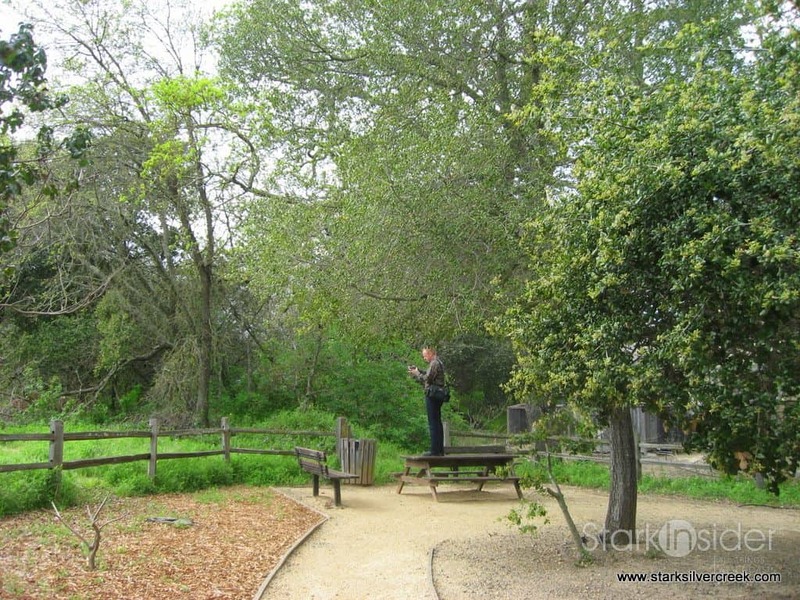 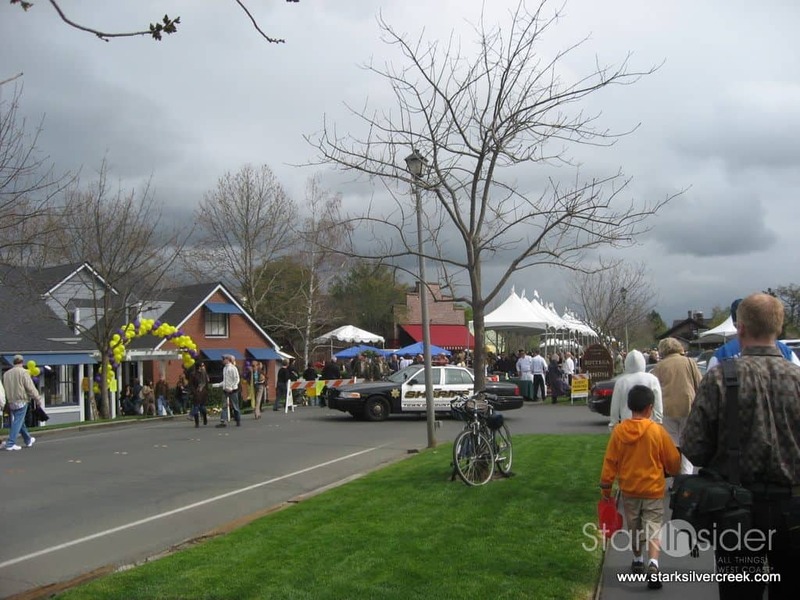 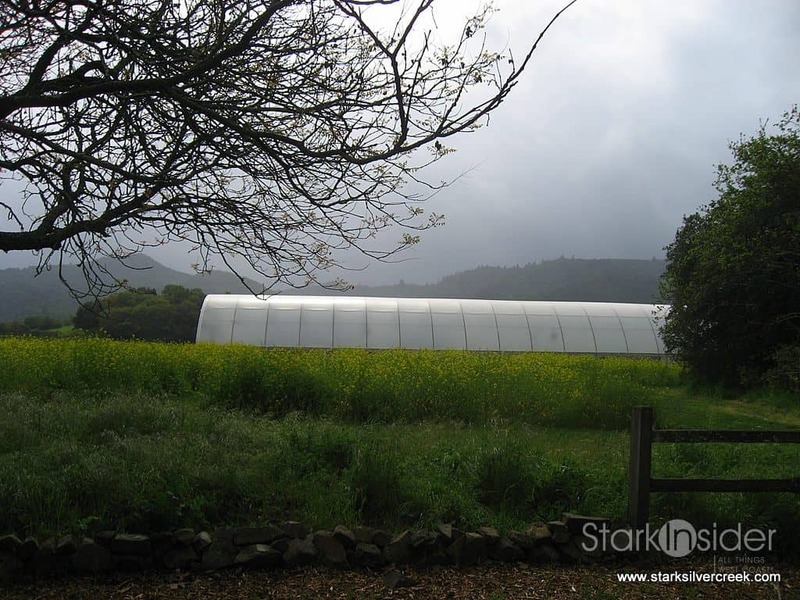 The event is held by the Yountville Chamber of Commerce each year. 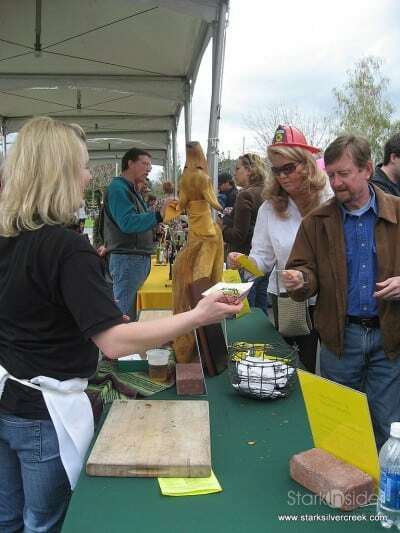 Visitors can purchase a pass for the entire event or purchase a la carte tickets ($1/ticket). 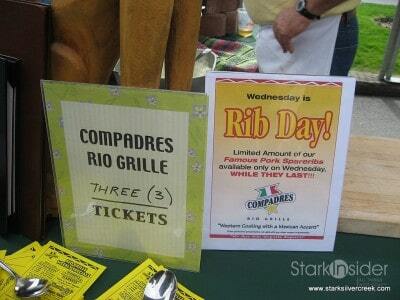 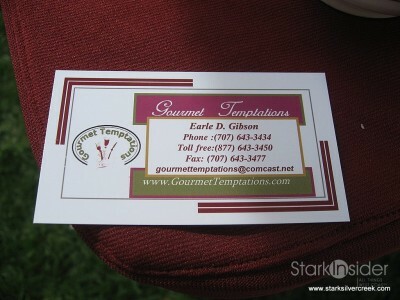 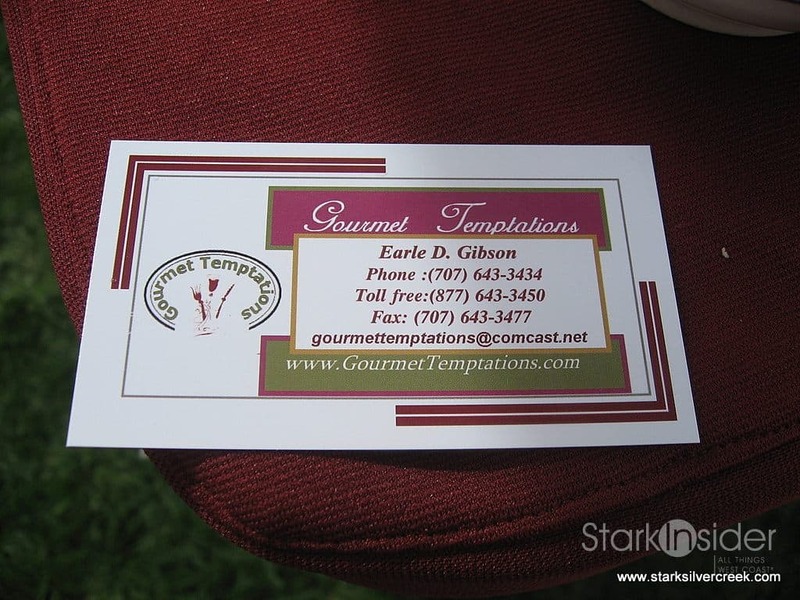 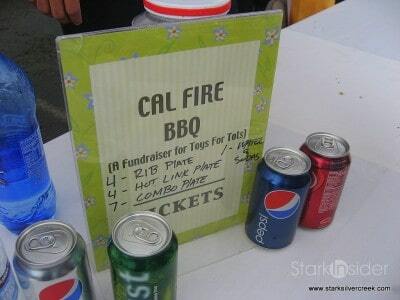 Signs at various tables would price their tastings or samples in units of tickets. 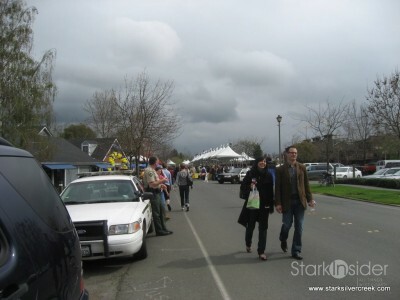 The whole event was spread all around the Yountville region, within walking distance, and there were plenty of bands keeping the atmosphere lively.